Technology. 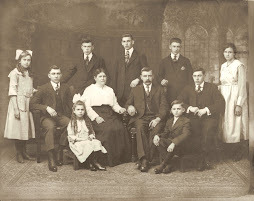 What technology do you most rely on for your genealogy and family history research? Select one piece of hardware (besides your computer), one piece of software (besides your internet browser), and one web site/blog (besides your own) that are indispensable to you. This is interesting timing for me. I'd mentioned in a post on The Oracle of OMcHodoy that my computer had recently been sent out for repair. The initial problem was that the photos in the "My Pictures" folder were duplicating themselves when I tried to delete extra copies or move photos to new folders. It would then put the copies into the same folder I was trying to clean out. No one I'd talked to could understand this; in fact even tech people would look at me as if I was possessed. I finally called in some tech support people I'd used once before. He found that somehow Windows (XP) was looping the files and that it would need to be re-installed. 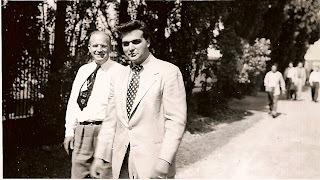 I was leary, as I'd once had mega problems with a tech support group that lead to a court case (I won; that contract was the "Worst Buy" I'd ever made). Anyway, I got my computer back last Wednesday. The computer guy had backed up my data so I didn't lose my photos or hopefully, my genealogy database (I wont' know about this until I install the new FTM I ordered, but the file is where it should be). The first problem I'd had was described in a post from 24 Feb 2008 on The Oracle of OMcHodoy, so I won't go into it here. But suffice it to say that last night I again attempted to re-categorize pictures in one folder to find that the pictures self-duplicated and placed the copies into the folder I was trying to clean up. I swear, my computer is possessed, not me. Anyway, I managed to delete the copies (I had to do it one by one instead of in groups) and move a few photos to a new folder, but it's quite distressing to know I spent a couple hundred dollars to fix a problem that wasn't fixed (the email to the computer guy should be read today). So you can imagine, I'm in one of those "technology schmechnology" moods where it is not my friend. But to be honest, I wouldn't have gotten into Genealogy had it not been for technology. 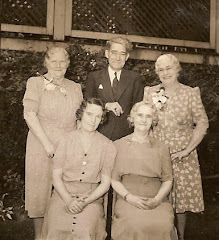 I wouldn't have gotten into Genealogy had it not been for technology that allowed me to store photographs. I would not have been able to share the family photos had it not been for technology, either. Because I think the best part of Genealogy is sharing "finds", I'm going to pick the CD Burner as my best technological friend. This device not only allows me to store photos in case of disaster, it allows me to send photos and data to family members who share my interest. If nothing else, the computer guy did replace my old burner, which stopped working quite a while ago. I realize now how much I missed it. As for Software, I'd have to pick Family Tree Maker as my best friend. I have an old version and am waiting for the 2008 version now. It sure makes tracking data easy! There's a lot of talk going around by a lot of people who think Ancestry.com is cheating people by charging for information that people can get for free at the National Archives. I say this is baloney. First of all, it would cost me a heck of a lot more to travel to the NA to get the information or to hire someone to go for me. Second of all, someone had to pay for people to scan images, index the data, and host and maintain the site. There is a wealth of information at Ancestry.com and it 's much more user friendly than other sites I'd used. So I vote for Ancestry.com as my most indispensable Genealogy website. Though I must say, I'm glad I didn't have to pick my favorite genea-blog. That would just not be possible. First it was I Am. Now I Am It! I've been tagged by Lori at Smoky Mountain Family History to answer some questions regarding non-fiction books. Well, to be quite honest, I don't read too terribly much. And when I do read, it's almost always fiction of the suspense/murder mystery type. I love both Kellermans, Fay and Jonathan, as well as Patricia Cornwell, James Patterson (when he writes solo), James Balducci, and sometimes Sue Grafton, though her alphabet mysteries got old by the time I got halfway through. Non-fiction? Let's see. I have several Genealogy books I haven't read yet (I'd probably be much better at it if I did). I have several cookbooks that I peruse every weekend when making my shopping list. I don't knit or craft since I have horrible fine motor skills. I used to digital scrapbook but haven't in a while. 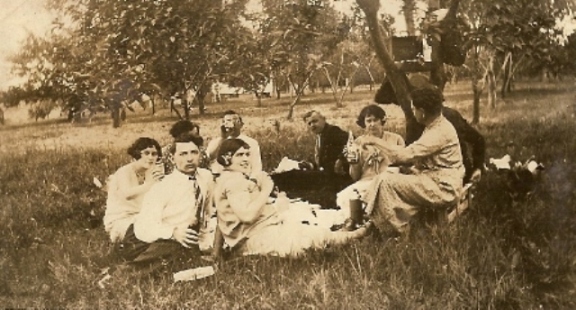 I enjoy historical coffee-table photograph books that include small snippets about the photographs within their pages. Not that I have any (the dog would eat them if I did), but I enjoy them when I see them at friends' or in the stores. I wouldn't mind reviewing some genealogy books, cookbooks, coffee-table books, etc. I foresee a problem with this, though, as I do with rented movies: If the story doesn't capture my interest within the first half hour, I stop watching. It would be the same with books that don't capture my interest in the first chapter or two. If I got paid for it, I'd finish reading them! If I knew people who shared the authors' interest, I'd just tell them about it. Okay, I'm cleaned out ;). 8 will have to do! Enjoy! 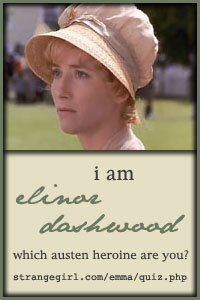 According to the description that came along with it, "You are Elinor Dashwood of Sense & Sensibility! You are practical, circumspect, and discreet. Though you are tremendously sensible and allow your head to rule, you have a deep, emotional side that few people often see.". I'm not so sure about the discreet part (well, I'm very discreet at work, and as a social worker I'd better be!). But the rest of it is right on! I found this little quiz linked on Genealogy Reviews Online. I'm a sucker for quizzes that indicate my level of "pop culturedness". I'm surprised I only scored at 64%. At least I was until I read some of the options. Who updates their blogs 5 times a day?